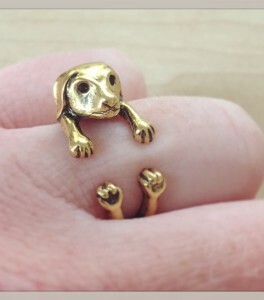 This cute little beagle will hug your finger all day long as gaze up at you with those soulful beagle eyes. 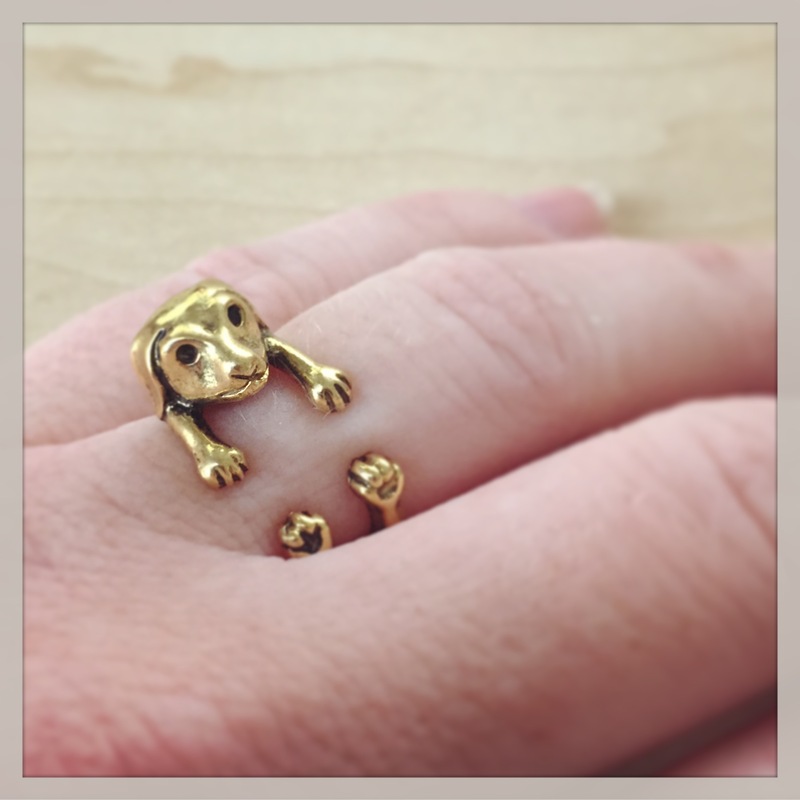 A must-have for your costume jewellery collection. 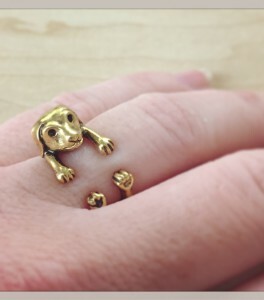 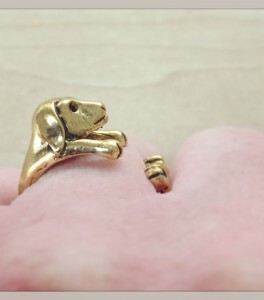 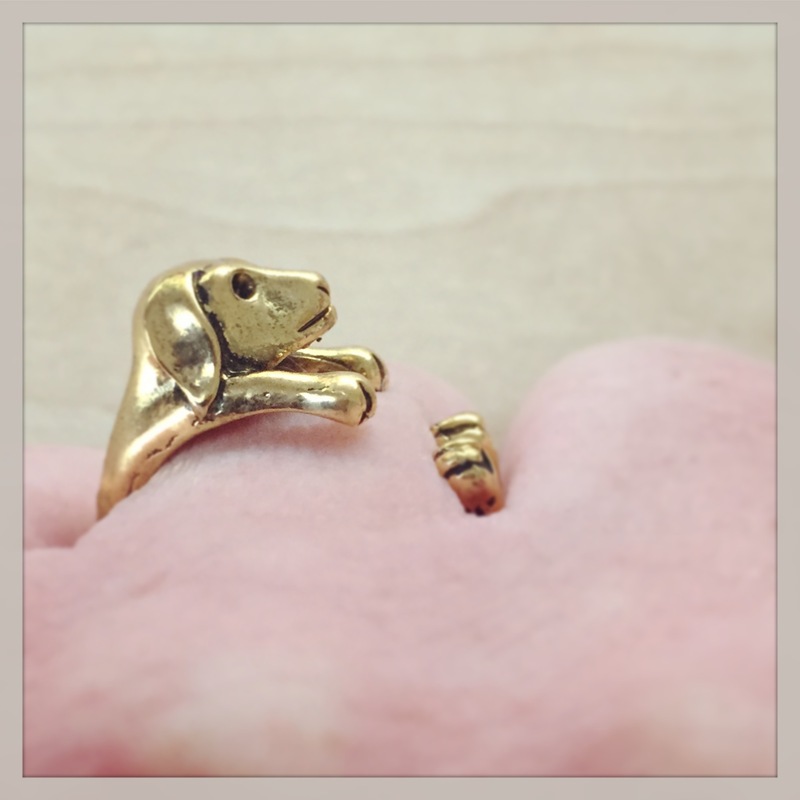 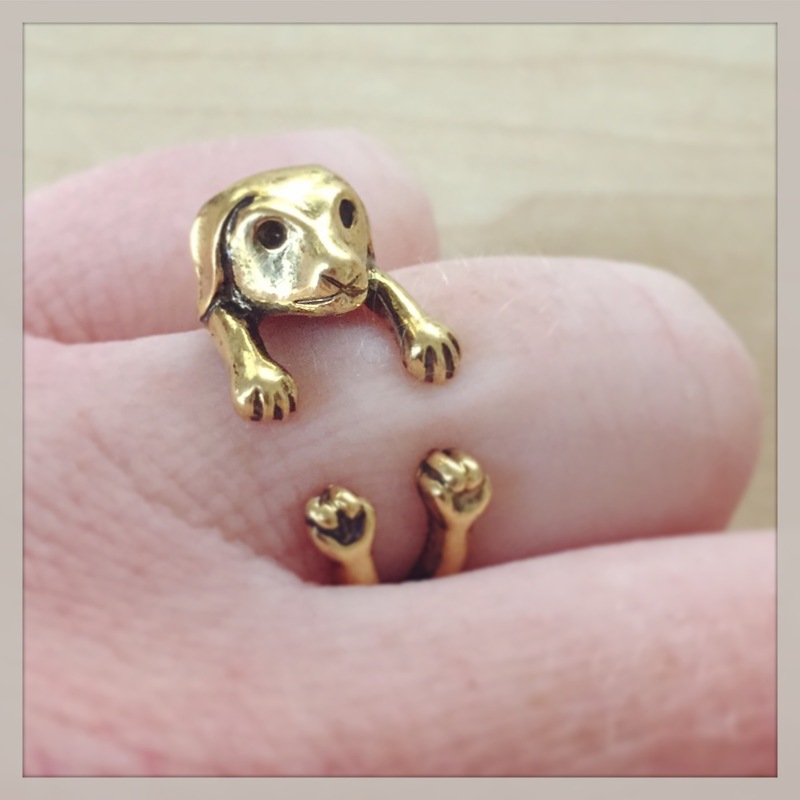 Be the first to review “Beagle Ring – gold plated” Click here to cancel reply.